Clement Reid took the helm November 1 as port director of the Port Authority of the Cayman Islands. Port of San Diego President & CEO Randa Coniglio was recognized with a Women Who Mean Business Award at the 22nd annual awards ceremony hosted by the San Diego Business Journal on November 18. The Port of Gulfport has been designated as a Strategic Seaport by the commander of the U.S. Surface Deployment and Distribution Command. A total of 16 seaports nationwide now comprise the strategic port system. Ten local organization and school programs will receive a total of $350,000 as part of the latest round of Harbor Community Benefit Foundation grants from the Port of Los Angeles Community Mitigation Trust Fund. The Port of Savannah has added Peruvian avocados to its expanding portfolio of perishable goods. October was a strong month for coal and salt imports at the Port of Green Bay. The governing board of the Port of Galveston has approved a five-year agreement with the City of Galveston for cruise terminal shuttle bus services. The Port of Halifax welcomed 141 vessel calls with 222,309 passengers onboard during the cruise season that began April 27 with the docking of the Phoenix Reisen vessel Amadea and ended November 2 with the sailing of the Seven Seas Navigator. 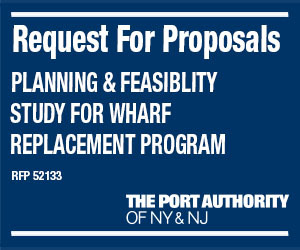 The board of directors of the Port Authority of New York & New Jersey on November 19 approved an additional $3.12 million for the Ocean-Going Vessel Clean Vessel Incentive Program, effectively extending it through the end of 2018. The Government Finance Officers Association of the United States and Canada (GFOA) has again awarded Port Freeport a Certificate of Achievement for Excellence in Financial Reporting, this time for the port’s 2014 Comprehensive Annual Financial Report. The New York City Economic Development Corporation has issued Request for Proposals to procure a long-term maritime tenant or tenants for the South Brooklyn Marine Terminal, with a deadline of March 4, 2016. 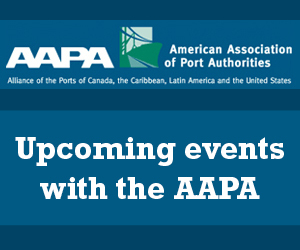 PortMiami is now receiving applications for Stevedoring Permits & Licenses for the year 2016 until December 4, 2015.